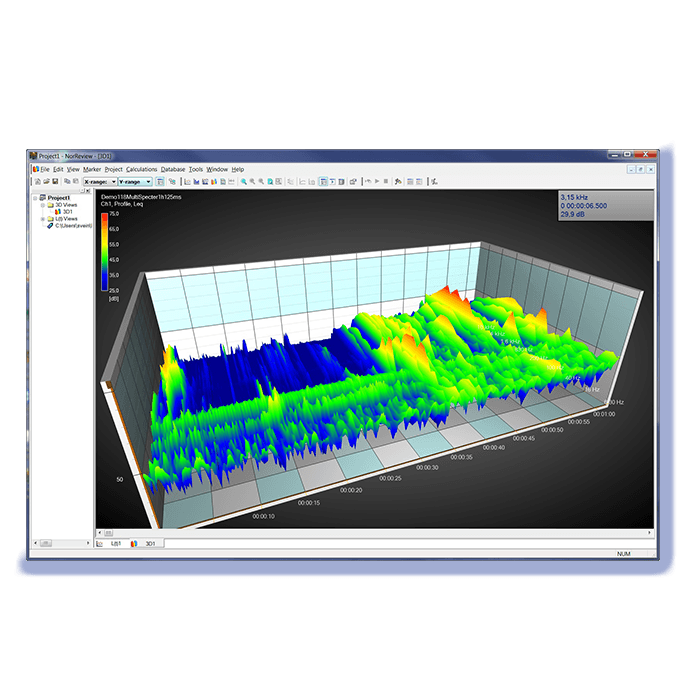 A flexible project oriented PC software package for presenting and post processing environmental noise data from Norsonic instruments. 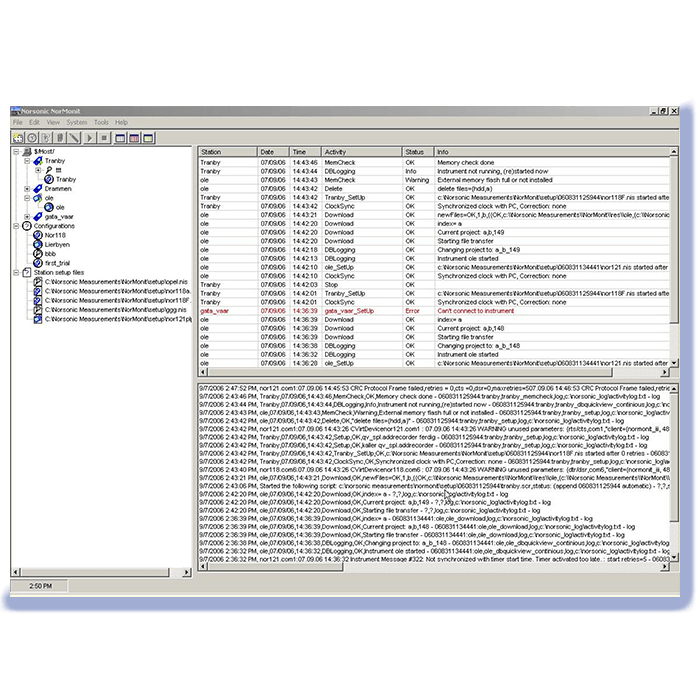 Each project may contain all kind of raw and post processed noise and weather data, audio recordings, voice notes, Microsoft® Word or Excel reports and other files such as digital photos and pdf-text files. NorBuild is a program for calculating building acoustic parameters according to many national and international standards. With this user-friendly program building acoustic measurements can be analyzed swiftly, safely and efficiently. 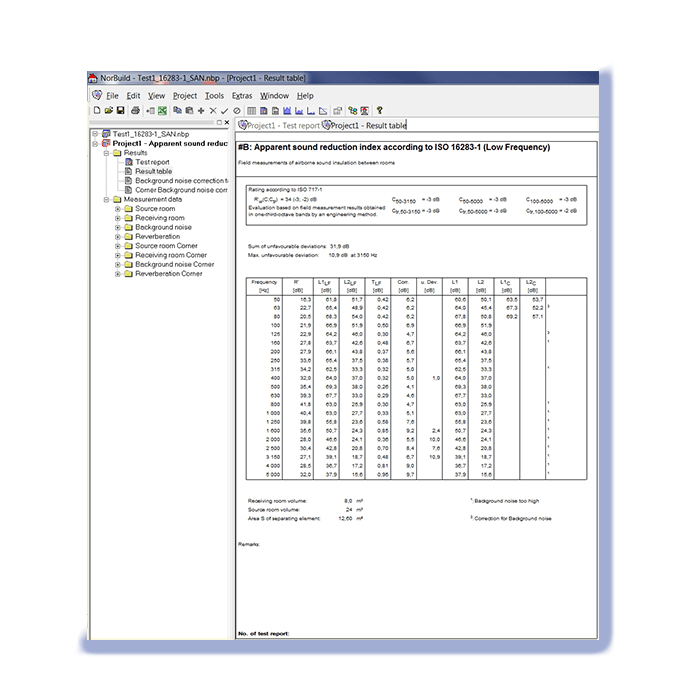 The software NorBuild immediately provides the test report according to the chosen standards. 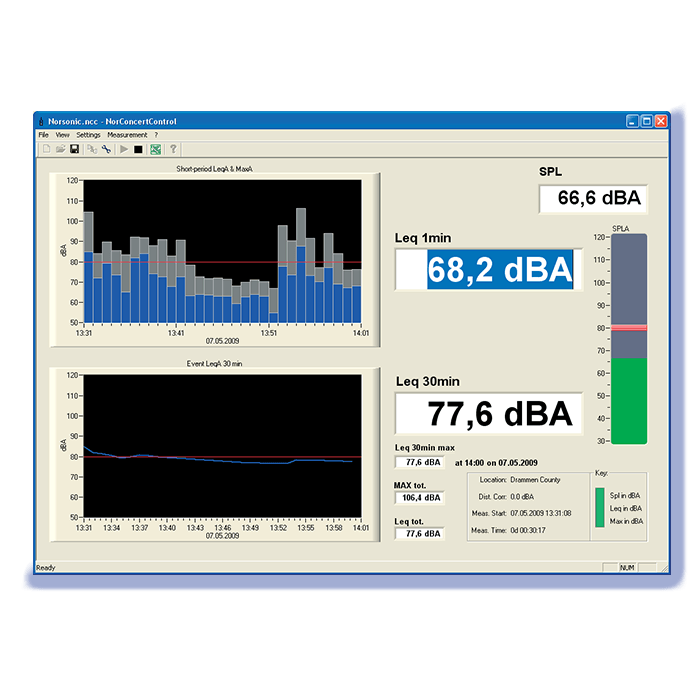 NorMonit version 5.x is the fifth generation of the control and data management software for noise monitoring applications. It is expandable from a simple system to a complex, multi-channel system. The flexibility of the program makes it possible for the system to be configured for almost any application in the field of noise monitoring. NorProtector helps to find the optimal hearing protection, based on measurements at the different workplaces of a person. For this purpose, measurements in thirds or octaves and a large database serve as the basis. The database contains the characteristics of the most common hearing protection devices. NorConcertControl is a system for monitoring and recording the sound level during events in line with the requirements of DIN 15905-5. A complete system for monitoring and reporting the sound level in discotheques, concerts or outdoor events. 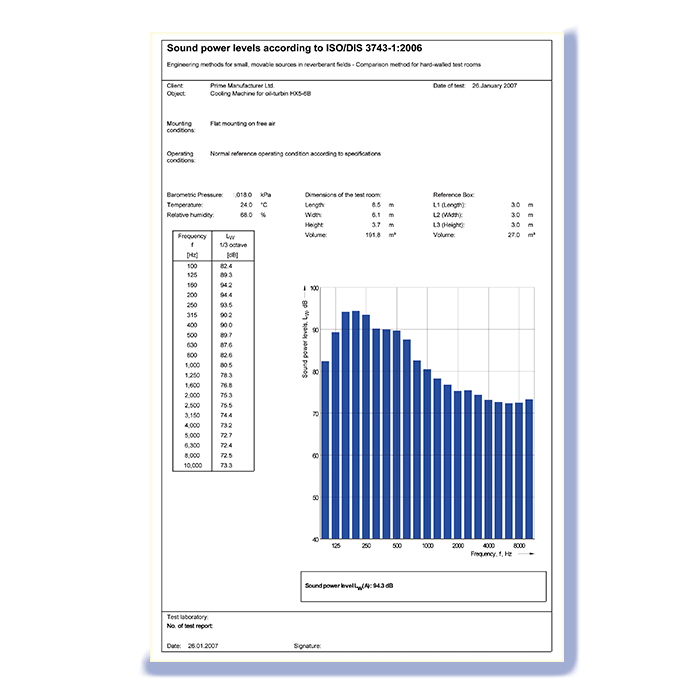 NorPower is a program for the calculation of sound power according to national and international standards corresponding to the enveloping surface method. 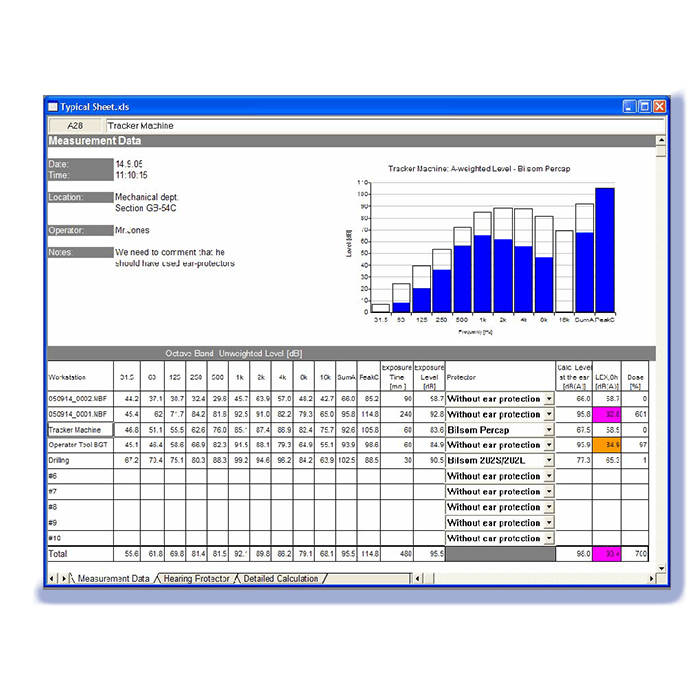 Measurement reports are generated automatically according to standards.